Home / Join Sunbird at DCD>Enterprise New York! 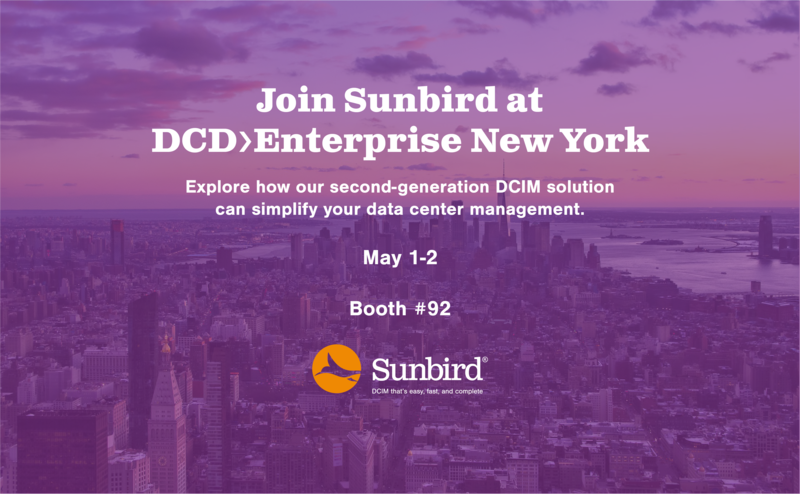 Join Sunbird at DCD>Enterprise New York! Sunbird will be at DCD>Enterprise in New York on May 1-2 at the Marriott Marquis. Stop by Booth #92 for a demonstration of our award-winning second-generation DCIM software. Register for free if you're a qualified end-user or consultant and join over 1,500 of your colleagues for this event that will cover how enterprise data centers are being re-defined and re-shaped. Heading to DCD>Enterprise and want to chat one-on-one with a DCIM expert? Sunbird representatives also will be available for individual meetings. Let us know if you’d like to meet.